LANCASTER – Sheriff’s investigators are renewing a push for information about a 52-year-old Lancaster man who’s been missing since late 2017. 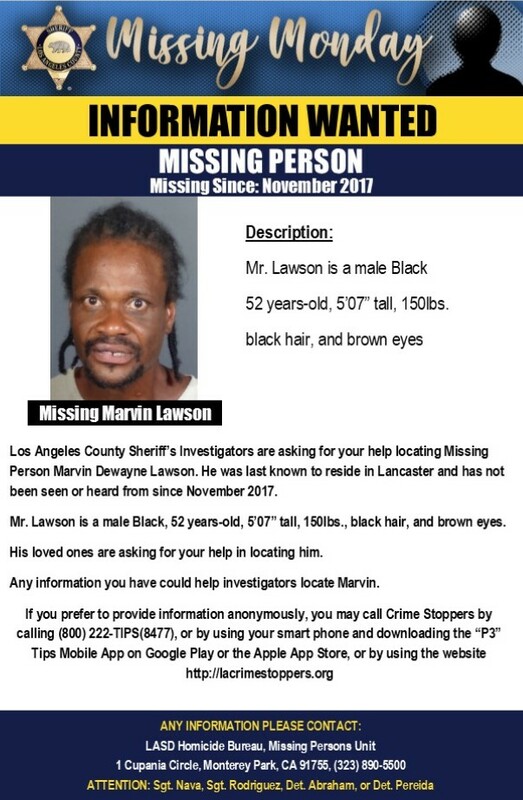 Marvin Dewayne Lawson hasn’t been seen or heard from since November 2017, according to the Los Angeles County Sheriff’s Department. Dawson is black, 5 feet 7 inches tall, weighs 150 pounds and has black hair and brown eyes. 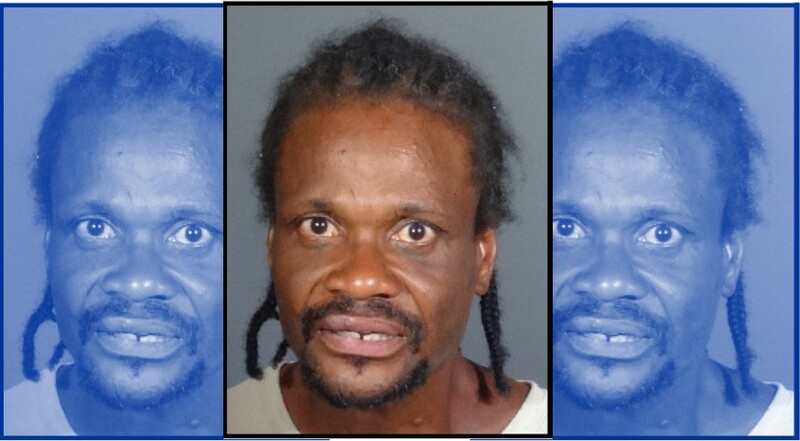 Anyone with information regarding Lawson’s whereabouts is urged to call the Missing Persons Unit of the Sheriff’s Homicide Bureau at 323-890-5500. Anonymous tips may be submitted through Crime Stoppers at 800-222- TIPS or at lacrimestoppers.org. 1 comment for "Investigators seek help locating Lancaster man missing since 2017"
He is in Santa Monica.